Prepare Detection plates and store in sealed container/dessicator with self-indicating soda lime. Prepare carbon sources and dispense into Deepwell plate. If you have lots of soil samples to measure it is easier to fill the Deepwell plates prior to the addition of the carbon sources. Place Filling Device over Deepwell plate and fill with soil. Multiple soil samples can be used by using masking tape to cover the wells that are not to be filled. Remove sliding perspex sheet to allow soil to fall into Deepwell plate. Assist the soil by holding the Deepwell plate with the Filling Device and tapping gently but firmly . Read Detection plate at 570nm and assemble onto the Deepwell plate with the MicroResp™ seal. Secure in metal clamp and incubate at 25°C for 6 hours before re-reading the Detection plate at 570nm. 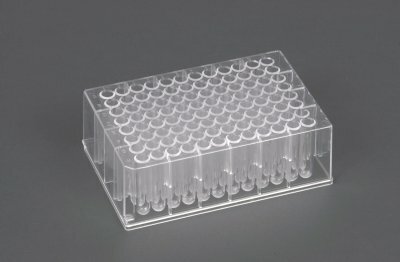 Prepare 14C sources and 14C-Detection plates - strips of filter paper rolled and inserted into each well of a Isoplate-96 microplate. Dispense 14C sources into Deepwell plate. Add NaOH to 14C-Detection plate. Place Filling device over Deepwell plate and fill with soil. Multiple soil samples can be used by using masking tape to cover the wells that are not to be filled. Remove sliding perspex sheet to allow soil to fall into Deepwell plate. Assist the soil by holding the Deepwell plate with the Filling Device and tapping gently but firmly . 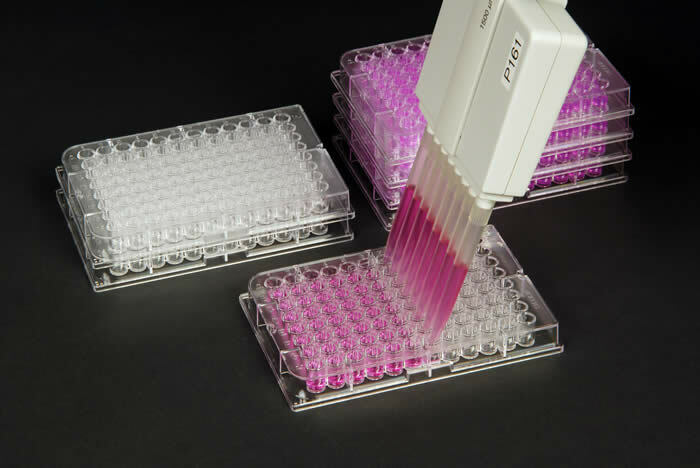 Assemble the 14C-Detection plate onto the Deepwell plate with the MicroResp™ seal. Secure in metal clamp and incubate at 25°C for 6 hours. Remove 14C-Detection plate and add scintillation fluid. 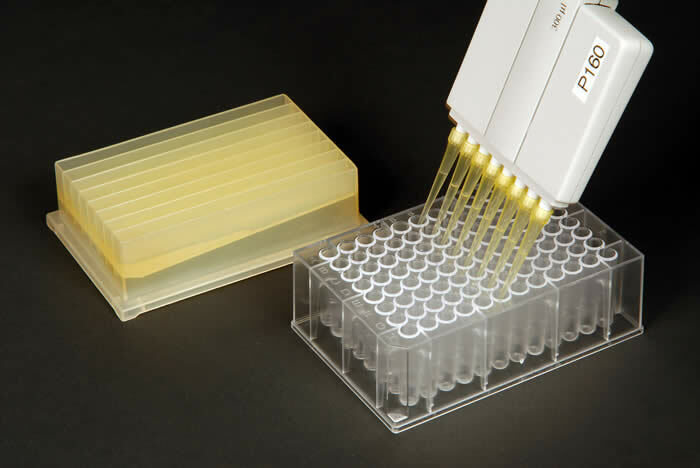 Seal the 14C-Detection plate with a self-adhesive microplate seal. Read the 14C-Detection plate as per instructions for the scintillation counter plate-reader.